Hi there! 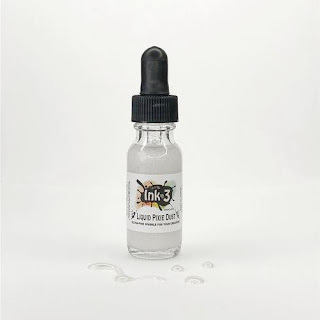 Emily Midgett here with you today, and I'm so excited to be a guest for Ink On 3 helping to promote their newest release- Heels to You! 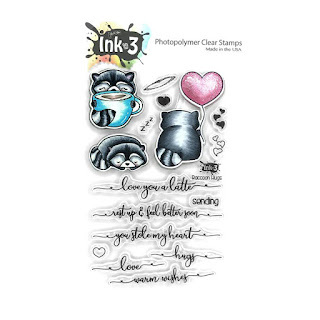 This darling new stamp set is so feminine, perfect for upcoming Mother's Day cards! 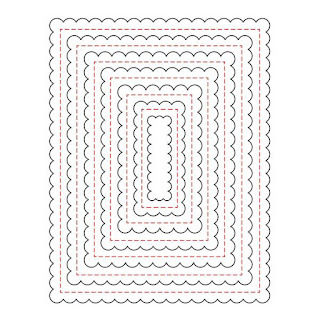 I've created a pretty pink card for you today, so let's get started with the details! I began by stamping the large shoe image from Heels to You using Ink on 3's Fadeout Ink on some watercolor paper, then used my Daniel Smith watercolors to do some no-line watercoloring in shades of pink and maroon. After it was completely dry, I die cut the shoe with it's coordinating die. 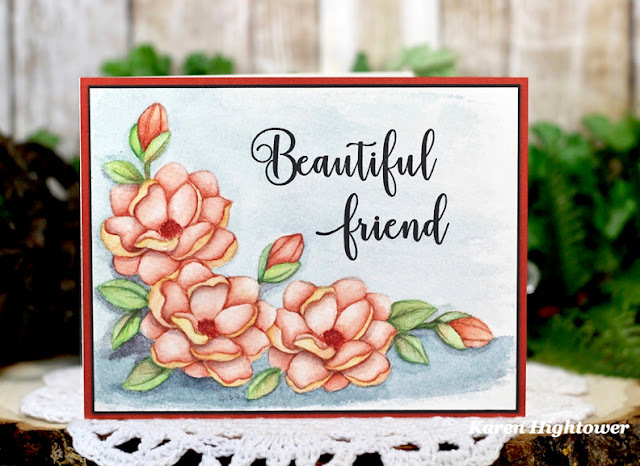 On the card base, I stamped the individual flowers from Heels to You and foliage using some medium pink ink, then added some light blending with the same shade of pink ink. I die cut the "beautiful" from the coordinating dies for Heels to You three times from some plum colored card stock, then adhered them together to create a dimensional die cut. I also heat embossed the rest of the greeting from Heels to You on the same card stock and trimmed it down to strips. To really make the shoe pop, I added some of the Pixie Dust Liquid Watercolor to the shoe before adhering it to the blended card front with foam tape. I added the greeting using foam and liquid adhesive, then added some gems for even more sparkle! Well, that's all for my project today! 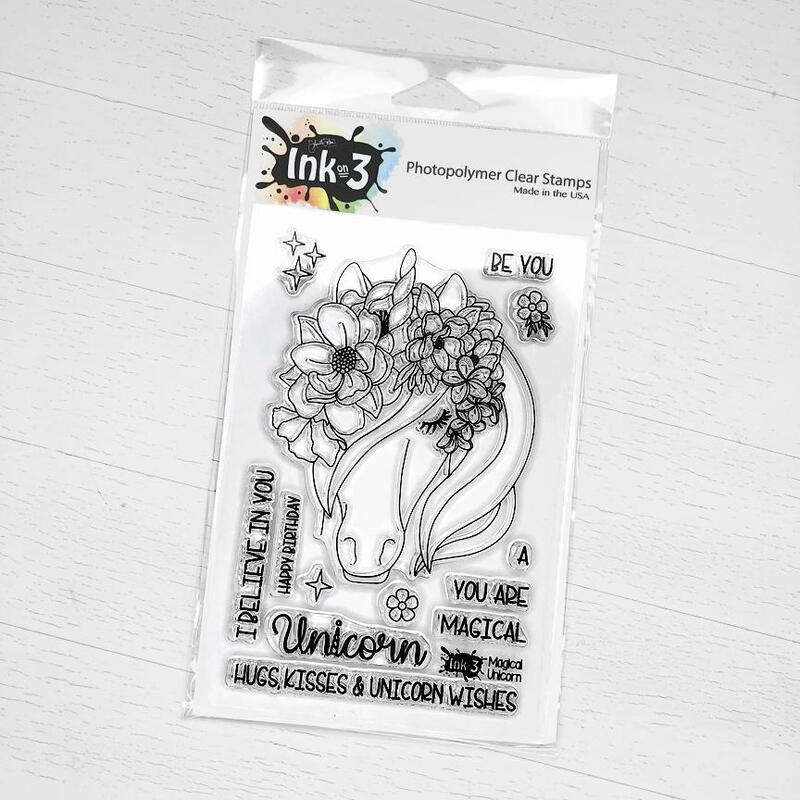 I hope you've enjoyed my project using this beautiful new stamp set from Ink On 3! I am so grateful to have been asked to guest to celebrate this new release. Thanks so much for stopping by today! Hi Everyone! 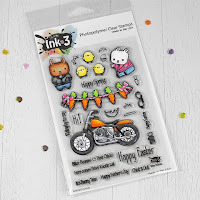 This is Karen Hightower from Karen's Creative Designs and I am here today as a Guest Designer for Ink On 3. I was so excited when Fleurette asked me to join her for this months New Release. Today I'm sharing two cards with the New Stamp Set - Heels To You! Creating with this set was really fun and I loved coloring the flowers too! 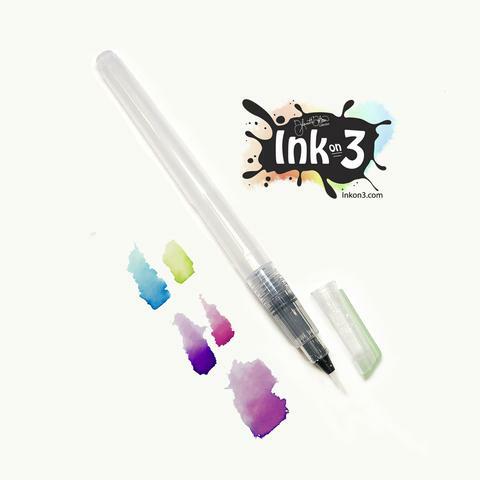 Ink On 3 has a couple of Coupon Codes for everyone for this release. On this card I did some masking and watercoloring! 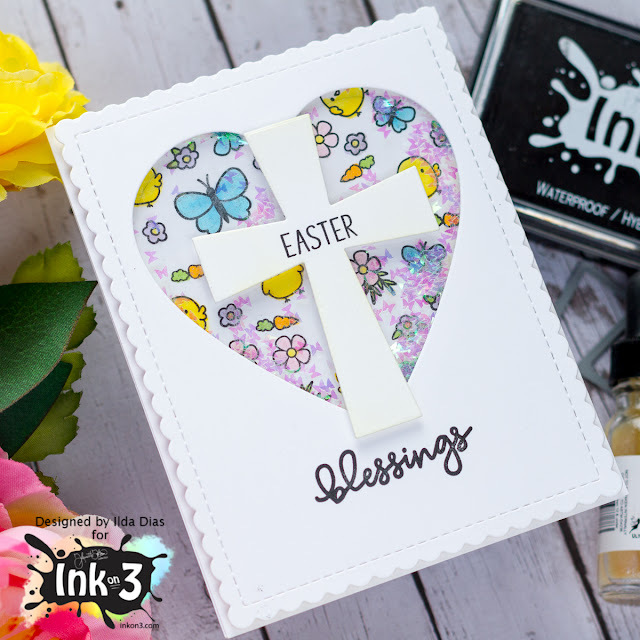 I stamped the center flower in Fadeout Ink and then masked it off with Gina K. Designs Masking Magic. Stamped the other images in the Fadeout Ink and watercolored them. 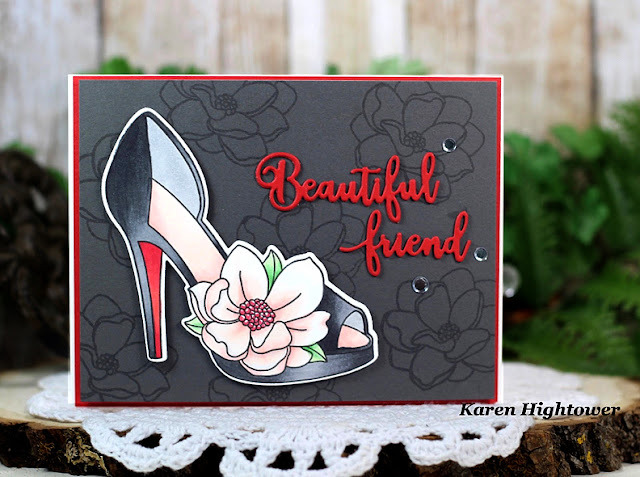 The second card made featuring the New Stamp Set and matching Die Set - Heels To You! 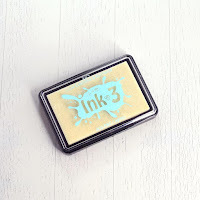 Stamped the single flower in the Juicy Clear Embossing Ink for a background. 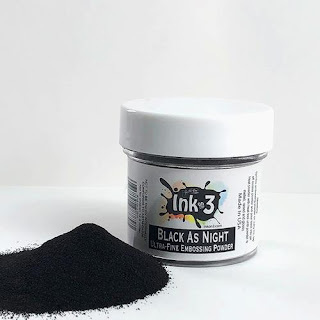 Then stamped the Beautiful Shoe in the Blackout Ink. I used the Word Dies and cut out 3 of each word and used Gina K. Designs Connect Glue to stacked them together. The shoe is colored with Copic Markers. Thank you everyone for stopping by and spending some time with me today! I would Love if you visit me over on my blog as well! 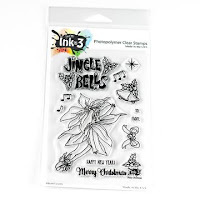 Here is the Link Click > Karen's Creative Designs Hope you have a great day and Happy Stamping! 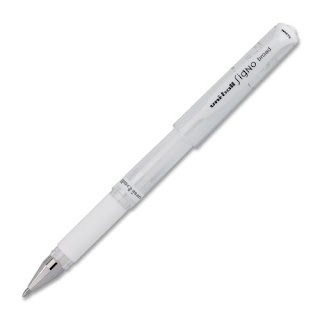 Be sure to take a little time to get ink! 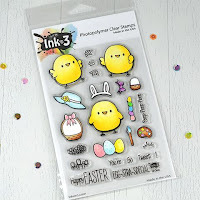 <3 (Affiliate Links are used when Possible!) Thank you for your support. YAY! Finally, it actually feels like Spring has arrived here in our city of Edmonton. All the snow is melting, there are water puddles everywhere and we have even enjoyed a few muddy bike rides! Now that Spring has arrived, Easter is just around the corner. 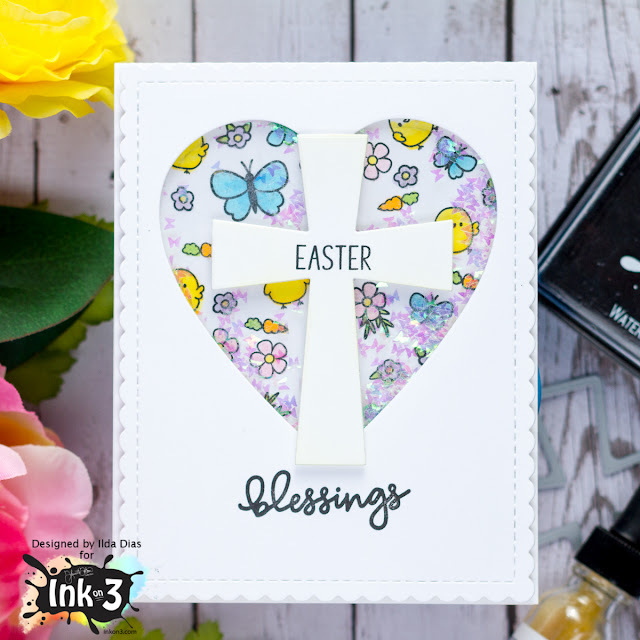 So today I have a simple Easter Shaker card to share with you all and I even filmed the process video for you to watch. It's been so long that I really had to relearn the process of making, editing and just uploading it to YouTube all over again. I'm hoping I will be a little more regular with sharing videos so that I don't forget the process again. So for those of you that would rather watch the process, this is for you and don't forget to →Subscribe for future inspiration! For this card today I began by die cutting the top panel to create the heart-shaped window and the Cross from the Blessing Coordinating Die set. 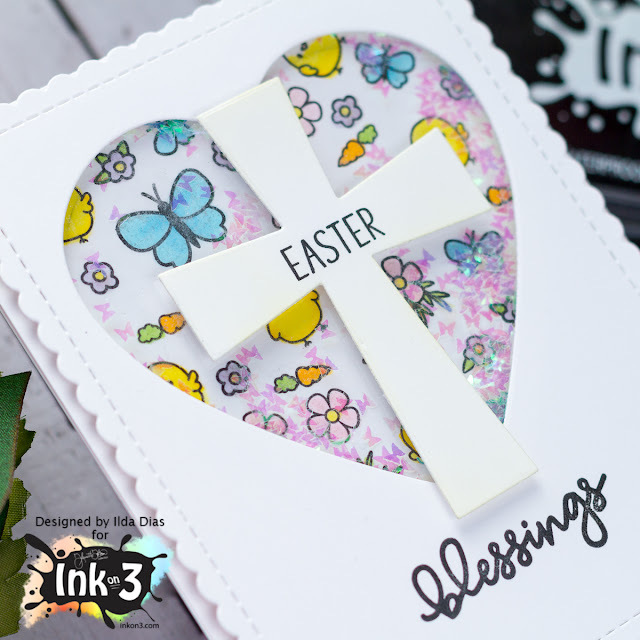 I then took a bunch of Spring/Easter small stamps from a variety of Ink On 3 sets and stamped out using Blackout Ink to create the background on to the front of the card base and colored them in using Copic Markers. 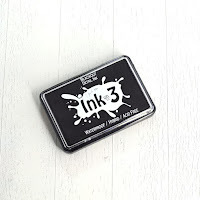 (All the Ink On 3 Sets I used will be listed below in the thumbnail links below). Next, I glued the acetate to the back of the heart panel opening and added the foam tape along the heart to create the well for the shaker pieces and also added foam to the edges of the card. 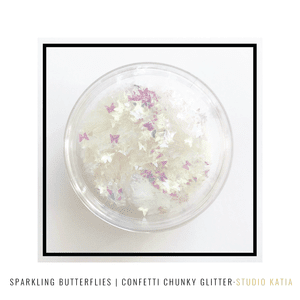 On the card base, where the middle of the shaker window will be, I added a little pile of the butterfly glitter and then closed up the shaker by adhering the top panel to the card base. To finish I stamped the Easter and Blessing on the card front pieces and glued the cross onto the heart. To the cross, I added some color by blending on some squeezed lemonade distress oxide ink. And that is pretty much it for this simple shaker card. Hello friends, Ilda here with you from ilovedoingallthingscrafty! Hope you all are staying warm. Right now our city and surrounding areas are under an extreme weather warning so we will be hanging out close to home this weekend! 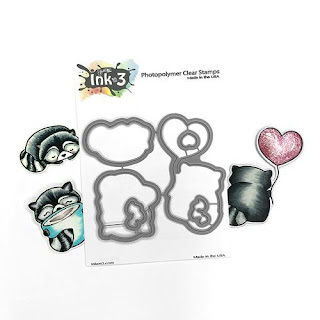 To begin I added Versa fine Black Onyx ink to the image of the raccoon, avoiding the arm and balloon and then stamped it onto a piece of acetate a few times using a stamp positioner. 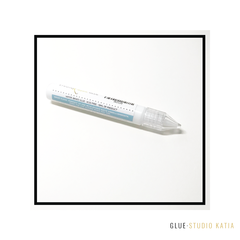 I then used the inked acetate sheet to transfer the image onto the cardstock before the ink dried, using my finger to press the image into the paper. Next, I stamped the raccoon with the balloon beside the mirrored one to create a couple. To create a moon, I drew a circle around the raccoons using a pencil and then colored the images and the background in using Copic markers. 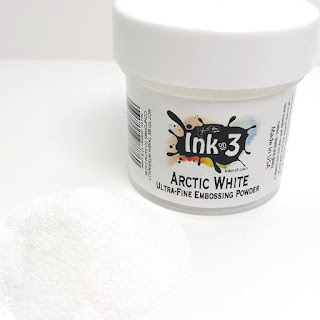 Once the background was completely dry I used the small star image from Merry and Bright and the larger star image from Fairy Christmas, stamped them out using Juicy Ink and then heat set them with Arctic White embossing powder. I also added a layer of Liquid Pixie Dust overtop the sky area and the balloon to add sparkle to the card. To the balloon, I also added a layer of glossy accents. 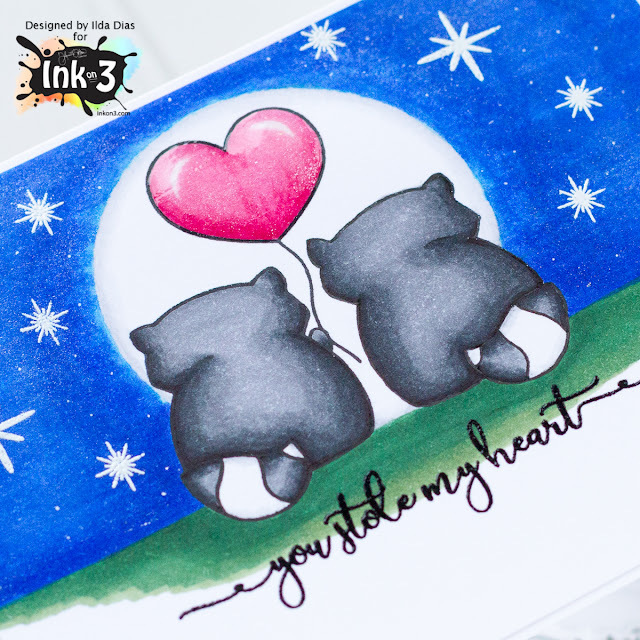 Finally, to finish off the card I stamped the sentiment below the raccoon couple using Juicy Ink and then heat set it with Black as Night Embossing Powder. 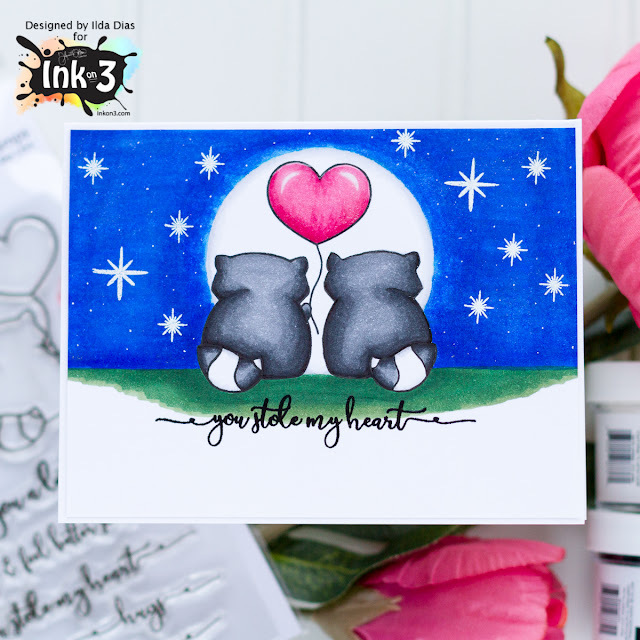 Right now take advantage of the Special which is 20% off Raccoon Hugs Stamps and Dies! 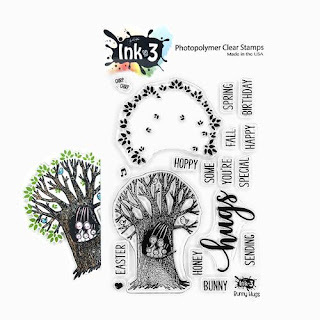 ****must have both stamps and dies in the cart for the discount. 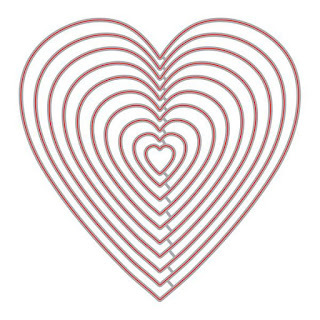 Hope you have enjoyed this Valentine's day creation using mirror stamping. Thank you for stopping by 😊 Stay warm and have a wonderful weekend!